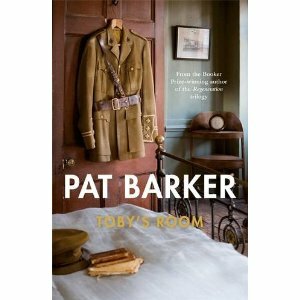 My preview of Pat Barker’s event at Durham Book Festival next week has been posted on The Bubble website. My review of Toby’s Room is here. When I explained the plot of Lightning Rods to my wife she was horrified. That was my aim and my dear wife’s mortification amply demonstrates how remarkable it is that Helen DeWitt has managed to write such a stunning satirical novel about one man’s fantasy-derived solution to the sexual harassment problems of big business in America. With the relentless warped logic of the failed vacuum-cleaner salesman Joe manages to place lightning rod ‘facilities’ for the release of tension. They amount to an anonymous naked woman (the lighting rod) poking her rear-end through a hole in the wall of the disabled toilet in order for the results-orientated male to release (earth) their tension and get back to generating business for the company. DeWitt captures perfectly the tone and logic of sales and the boardroom; a tone Joe has mastered. Anyone familiar with business-speak (or 30 Rock’s Jack Donaghy) will recognise the tendency of businesspeople to evade the language of moral responsibility in favour of realpolitik goal-orientated nonsense which begins with an apparent truism, but ends who knows where. Joe’s catchphrase – which soon catches on – is ‘At the end of the day, we got to be realistic. We’ve got to deal with people the way they are, not the way we might like them to be.’ Joe’s apparent realism contrasts nicely with the fantasy which underpins his invention. Whilst remaining very funny indeed the novel demonstrates the extent to which those at a disadvantage will rationalise actions they would never normally consider to get through college, provide for a family, or just survive, and the way people can approach almost anything if it will allow them to get ahead in an unsympathetic corporate landscape. Lucille and Renée, who are as driven as any of the men they cater to, take on their role and make it work for them. The easy desire to reproach that point of view is undermined by the success lightning rods go on to achieve. This prelapsarian tone is undermined by Dewitt’s use of it and allows her to present office developments resulting from facility-use as near exotic: ‘Something that had looked completely uncomplicated, a purely physical convenience, turned out to have far-reaching psycho-social repercussions.’ Joe’s grasp of psychology extends as far as his fantasies take him, which is why he must reconcile each development with his own libido, but that does not hold him back. Especially once the more enterprising lightning rods start to take advantage of him, selling their expertise dear and improving their experience with constant suggestions. It is an odd sort of empowerment, but it is empowerment nonetheless. Be in no doubt that this is a very strange novel indeed. It’s also brilliant. Subscription publisher And Other Stories is having a very good year indeed, what with Swimming Home shortlisted for the Booker Prize and novels of the quality of Lightning Rods on their list. There has already been talk of Lightning Rods featuring somewhere in next year’s Booker Prize. It might be a bit early for such things, but I would not be at all surprised. DeWitt’s writing never falters in its tightly controlled exploration of one man’s idea to make the world a better place. All that and a dig at the FBI as well. 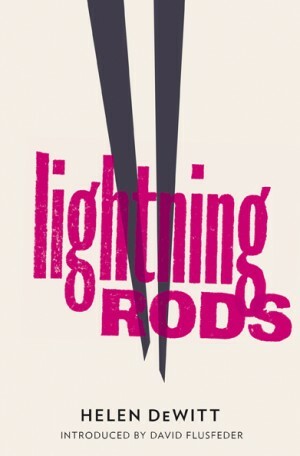 Lightning Rods is published today (1st October 2012) by And Other Stories. 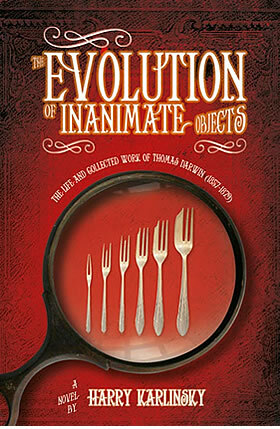 My thanks to And Other Stories for this review copy.